We service Troy and Sindey as well. 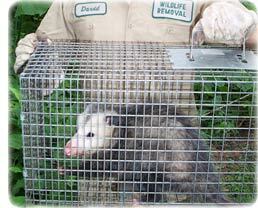 Barnes Wildlife Control provides safe and effective wildlife removal. We are fully licensed, insured and professionally trained to evaluate and implement effective and cost effective solutions to your problems. We remove pests fast! Call us today to get rid of unwanted critters. We remove the creatures and can help you repair holes and other openings where they may be entering your home. Sorry, but we do not remove stray or roaming dogs. Contact your local county dog warden for free roaming dogs or other dog related complaints. Please contact us about removing your nuisance wild animals. There are many Piqua pest control companies, but most deal with extermination of insects. We deal strictly with wild animals, such as raccoon, skunk, opossum, and more. Barnes Wildlife Control differs from the average Piqua exterminator business because we are licensed and insured experts, and deal only with animals. We are not merely trappers, but full-services nuisance wildlife control operators, offering advanced solutions. Piqua wildlife species include raccoons, opossums, squirrels, rats, skunks several species of snakes and bats, and more. Many animals can cause considerable damage to a house, not to mention contamination. We offer repairs of animal entry points and biohazard cleanup and we guarantee our work. Our Piqua rodent (rat and mouse) control is superior to other pest management companies. All of our wildlife trapping is done in a humane manner. Of course, we are properly Ohio state licensed. We are highly experienced in Piqua raccoon removal, squirrel removal, bat control, and more. We at Barnes Wildlife Control believe we are the best Piqua trappers of wildlife, and would be happy to serve your Piqua bat removal or pigeon and bird control needs with a professional solution. Skunks, moles, and other animals that can damage your lawn - we trap them all. Our professional pest management of wildlife and animals can solve all of your Piqua critter removal needs. Our specialty is removal of animals in homes such as raccoons in the attic or squirrels in the attic. If you need Piqua pigeon control, Canada geese or other bird removal, we can help. We are experts with skunk problems, digging animals such as armadillos, & groundhogs, and we offer Ohio dead animal removal. We trap mice and voles. We do home repairs, animal prevention, and removal of critters from the attic, ceiling, basement, animal in the wall, and any part of a building. Give us a call at 937-790-4057 for a price quote and more information. Remember, we at Barnes Wildlife Control run a wildlife removal company, and charge for our services. If you are searching for help with a dog or cat issue, you need to call your local Miami County animal control or SPCA. They can assist you with problems such as a dangerous dog, stray cats, lost pets, etc. There is no free service in Miami County that provides assistance with wild animals. Ways To Keep Mice Out Of The Soffits - Mice may look cute and fluffy, but in reality they are just small rats. They are pests, and a nuisance - especially if they get inside your attic. Many a mouse has been nesting in the soffits of the attic of some unsuspecting homeowner, and by the time the mouse and his well-developed family has been found, they have destroyed the insulation and caused large amounts of damage to the woodwork. But even if a mouse only gets into your soffits for a short amount of time, they can still cause considerable damage! On top of which, they have a very bad habit of pooping on you from the soffits once they are up there. So how can you get them out and keep them out of your soffits before they get a chance to make a nest? Some methods to stop mice getting into your soffits to begin with are things like making sure that there aren't any tree branches growing very close to your attic. If there are, you need to be extra aware of the pest problems this could cause, but if possible get the tree pruned. You also need to ensure that your attic is in good repair - the smallest of cracks or holes is just asking for a mouse to work its way into and make a nest. Pay close attention to corners and ducts. Anything big enough for a mouse to get its head into is big enough for him to get into. How to Get Squirrels Out of the Attic in OH - Squirrels in the attic are a common problem found in many homes. Squirrels prefer the attic to other areas of the house since the attic is warm, dry, and safe hence creating a good environment for squirrels to live. Getting rid of the squirrel can be tiresome. Before you decide on the method to use to get rid of the squirrel, first find out how they got to your attic. Squirrels are good climbers hence getting to your attic is not hard. They chew their way through the woods to gain access to the attic. A house with wide-open holes also stands a higher chance of having squirrels since access is easy. The amount of damage that can be caused by squirrels in the attic is a lot. Since they are chewers, they will chew anything from the wood, to the roof and even electric wires. They do so to make their bedding materials. This is dangerous, especially when they chew on electric wires as it can result to a fire. The noise from the squirrels is reason enough for you to want to get rid of these rodents. The danger of causing a fire is another reason to get rid of squirrels. The squirrels also pose health threats on people. To get squirrels out of your attic, you may consider setting traps to capture them. 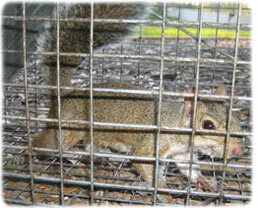 You can use a live trap that captures the squirrel in a cage. Once trapped in the cage, you can get rid of the squirrel. You can also use a lethal trap. With this trap, you use bait to lure the squirrel to trap, and once it is captured, it is killed. The traps can be set right on the hole they used to come into the attic. Squirrels leave the attic in search of food and water, and as they do so, you are bound to catch them. Once you are sure you have caught all the squirrels in your attic, block the hole. You can use steel to block these holes since the squirrels cannot chew it. If you need Piqua raccoon removal, rat trapping, squirrel removal, or have any questions about a wildlife problem in Piqua, please give Barnes Wildlife Control a call at 937-790-4057, and we will listen to your problem, give you a price quote, and schedule an appointment, usually same day or next day, to solve the problem.